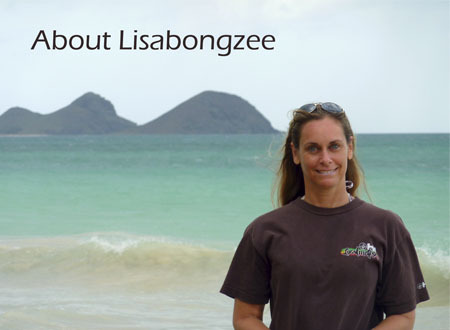 My name is Lisabongzee and I love to paint tropical island paradise scenes. My paintings are created with a palette knife. They are all original, and completely one-of-a-kind. I do not make prints or reproductions of my work, so you can be sure if you purchase one of my paintings, no one else will have the exact same one! I particularly enjoy painting en plein air (outdoors, on location). Being out in the beautiful Hawaiian sunshine, breathing in that sweet "beach air", there is no better way to spend a painting day! Having lived in Hawaii most of my life, I have been able to experience the magic of these beautiful Islands. Through my paintings, I hope to capture the peaceful, serene paradise that many of us dream about.